Save an office. 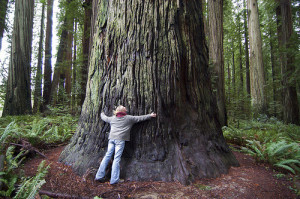 Hug a tree. Think a completely paperless office is out of reach for your small business? Think again! Here are 5 easy steps to greatly reducing – and even eliminating – paper from your work life. Let’s rewind. Having a plan in place for situations like this one is crucial to maintaining a paperless office. Make sure pens and scraps of paper are either completely removed or tucked away in hard-to-reach places. Have a blank text document minimized and ready to be updated at a moment’s notice. You can also use list applications like Wunderlist to help you organize must-do items. Paperless white boards let you keep track of your thoughts, notes and to-dos without wasting paper. Attach a huge white board to your office wall, and relish the feeling of “wiping off” completed tasks, one by one. White boards let you keep everything out in the open without encouraging any kind of clutter, be it physical or mental. File folders are so last century. There’s just no reason to have file upon file of hard copy documents taking up space in your office. Go paperless by scanning every last scrap and organizing those files on your computer. If that sounds like a monumental headache, remember that you can always have the good folks at Shoeboxed scan everything for you (that’s right – we don’t just scan receipts, any document will do)! Nowadays, there may not be a whole lot of documents that actually need to be printed. But what about tax forms, contracts and other things that require a signature? No sweat. You can still maintain a paperless office, even while passing out W9s. How? Try a site like RightSignature, which allows you to upload, modify and electronically sign all kinds of legal documents without having to print, fax or scan a single thing. RightSignature guarantees the e-signed documents to be legally binding, meaning there really is absolutely no reason to print a thing! A paperless office that tosses hoards of junk mail on the daily isn’t really paperless at all. If you’re sick of receiving unsolicited credit card offers, catalogs and those newspapers filled with nothing but ads, check out optoutprescreen.com. You can choose to opt out of receiving junk mail for five years or for the rest of your life. Just think of how many trees you’ll be saving, just by clicking a button! Note that they ask for your birth date and social security number, however you do not have to provide this information if you don’t want to. What are some creative ways you’ve gone paperless?